It’s a thing of beauty, the cross. It symbolizes our freedom from ourselves. It was a necessary tool used by a skilled Carpenter to build a bridge from us to God. We see crosses everywhere, especially during Easter. They are decorated, they are displayed, they are worn on our clothes and around our necks. What do you see when you look at the cross? This thing of beauty is also a terrible thing. Our Savior died a cruel death upon it. The cross wore all of our sin. God looked at the cross and He saw His Son dying. He saw His Son suffering. But He also saw us. He saw our sin. In the loss, He turned away. It’s overwhelming to think that because of Jesus and the cross, God no longer sees my sin. When He looks at me, instead of failure, He sees success. Instead of a mean spirit, He sees gentleness. Instead of mistakes, He sees perfection. Because He sees me through the blood of Jesus, the Perfect One. So when I look at the cross, I see Jesus. I feel sadness for what He went through, this precious Jesus. I feel anger at the unfairness of the Pharisees and the crowds who shouted “Crucify Him!” I feel shame as I realize that I put Him there. But I also feel victory. Because of Him, I have a future. Because of the cross, sin has been defeated! Because He died, I now have life. I pray that I never focus on the things of this world instead of looking at the cross. I found this song in an old hymnal a few weeks ago. The lyrics just reached out and grabbed my heart and wrung it out! If you have a moment, study these words and let them speak to you the way that they did to me. What do you see when you look at the cross? Through Christ, the risen Lamb. 4 Safe in the cross of Jesus! And death is known no more. This entry was posted in Devotionals, Music and Songwriting and tagged Crucifixion, Easter, Frederick Whitfield, I Saw The Cross Of Jesus, Jesus on the Cross, Paige Givens, Salvation, The Cross. Bookmark the permalink. 15 Responses to What Do You See When You Look at the Cross? Thank you Amy! Happy Easter! This is powerful, Paige: “God no longer sees my sin. When He looks at me, instead of failure, He sees success. Instead of a mean spirit, He sees gentleness. Instead of mistakes, He sees perfection. Because He sees me through the blood of Jesus, the Perfect One.” It’s wonderful to remember that in Christ, the righteousness of God rests on us! Thanks Betsy! I do love the hymn. This was amazing – God has blessed you with a beautiful voice – thanks for sharing with us!!! Beautiful! Love the hymns! Have a Blessed Easter! This is a new hymn for me Paige. Absolutely beautiful. Love the progression in each verse when we see the cross of Jesus. I saw the cross of Jesus. 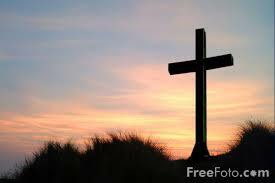 I love the cross of Jesus. I trust the cross of Jesus. Safe in the cross of Jesus. What a comfort to know, even as Easter is now past we always are safe in the cross of Jesus. Thank you so much for sharing Paige! Beatiful! I love the music you have set to this hymn. And you have a beatiful voice. Thank you for sharing it with us. This was simply AWESOME!! Thanks for sharing! !